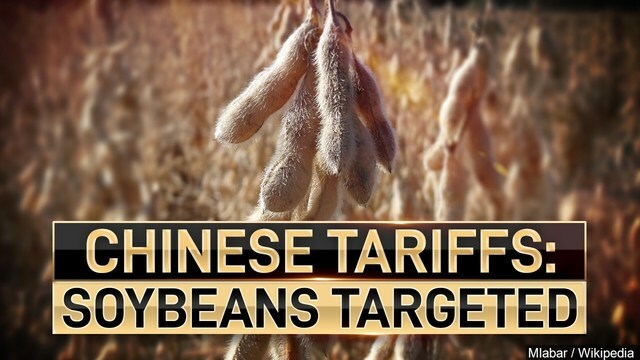 WASHINGTON (KTVE) - Congressman Ralph Abraham, M.D., R-La., reintroduced legislation to help soybean farmers better access a program designed to offset losses caused by Chinese tariffs. Soybeans that typically are grown in the upper Midwest and shipped to the West Coast for export to China have, instead, been shipped down the Mississippi River to go to other markets. Storage elevators in Louisiana were full of out-of-state beans during last year’s harvest. Many Louisiana farmers faced an impossible choice of harvesting without a place to take their beans, or allowing them to die in the fields. The U.S. Department of Agriculture (USDA) announced the Market Facilitation Program (MFP) last year that offers payments to farmers based on losses incurred by Chinese tariffs. Many soybean farmers in Louisiana were unable to participate in the program last year because they were unable to harvest their crops. Dr. Abraham’s bill would amend the MFP to allow payments to be based on “planted acres” instead of “harvested acres” for soybeans, which would allow many farmers unable to harvest their soybeans to participate in the tariff relief program. “For many Louisiana soybean farmers, an MFP payment could make or break their farms. Our farmers who have felt the impact of the Chinese tariffs and resulting market disruptions must be included in the relief program,” said Dr. Abraham, a member of the House Agriculture Committee.